Huck’s American Craft is a true modern bistro that showcases our chef’s Interpretation of beloved American Classics. Our upscale tavern fare menu emphasizes American comfort foods like Chicken and Waffles, personal Pretzel Dough Pizzas, and the signature Minnesota Juicy Lucy burger stuffed with Muenster cheese. Breakfast-all-day staples are also plentiful, with classics ranging from Jumbo Waffles to Egg Sandwiches. 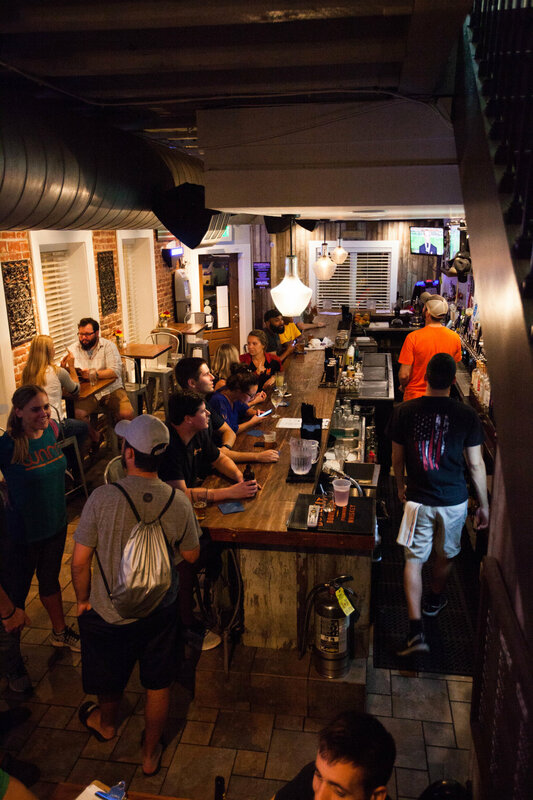 Huck's features 20 taps and over 40 bottles and cans of the finest American classics and microbrews. Seasonal selections change weekly. Our rotating wine selection features a variety of quality American wines by the glass and by the bottle. Rock Town orange vodka, fresh-squeezed orange juice, triple sec. Rock Town Basil vodka muddled with fresh straberries,mint, simple syrup, splash of lemon juice topped with soda water. Deep Eddy grapefruit vodka, fresh-squeezed grapefruit juice, and a splash of simple syrup. 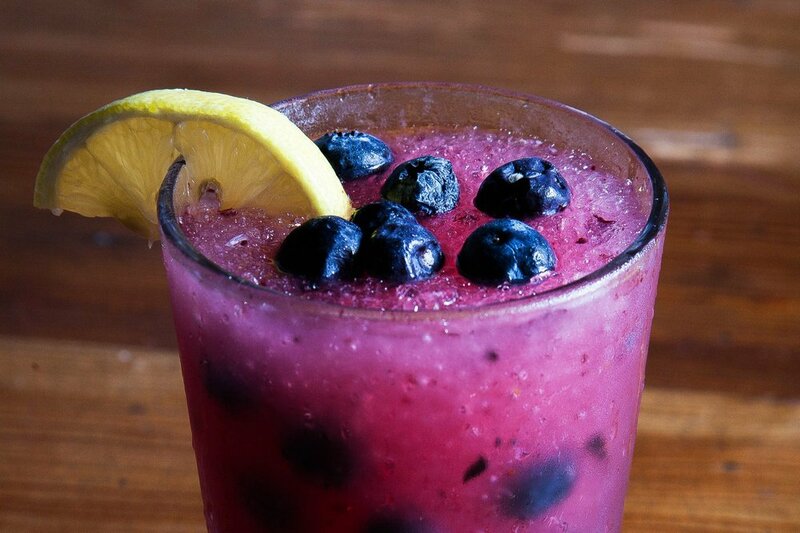 Deep Eddy Lemon vodka, muddled blueberries and simple syrup fresh-squeezed lemon juice, topped with soda water. Whiskey, fresh-squeezed lemon juice, mint, simple syrup and a splash of soda water. Deep Eddy Sweet Tea vodka, simple syrup, fresh-squeezed lemon juice and a splash of un-sweet tea. Your choice between Watermelon Mint Green Tea or the White Mango Hooptea with a shoot of Deep Eddy’s regular vodka. Titos Vodka muddle together with fresh blackberries, thyme and simple syrup, then strained over ice with a splash of soda water and sour mix with a fresh thyme spring for garnish. Bulleit Bourbon, with a honey lemon thyme simple syrup, sweet vermouth, sour mix and a splash of cherry juice with a grapefruit peel and cherry garnish served on the rocks. Rock Town basil vodka, muddled strawberries, blackberries and raspberries, splash of lime juice, simple syrup topped with iced tea and fresh mint. 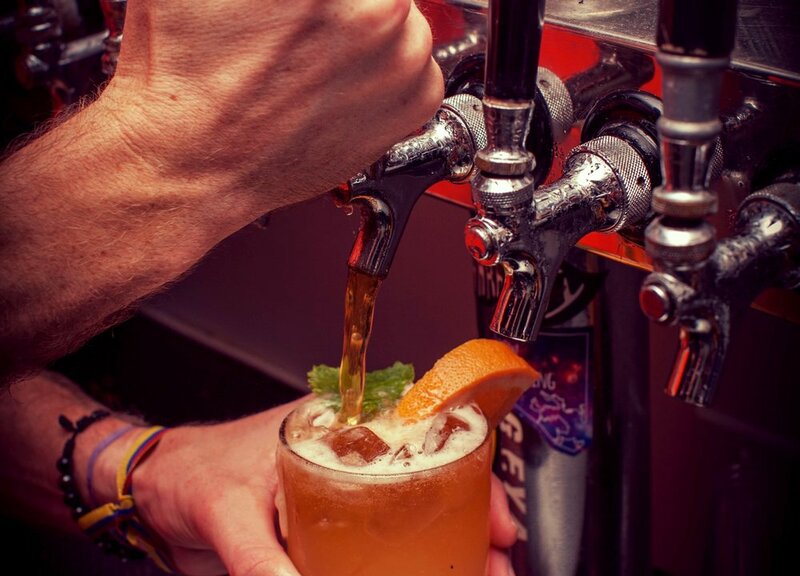 Bulleit Bourbon, fresh lime juice, mint and simple syrup, muddled together topped with iced tea. Vodka, with lime juice, a splash of simple syrup and bitters served on the rocks with fresh raspberries and thyme sprigs. Bar Hill Gin, St. Elder Natural Elderflower Liqueur, fresh squeezed lemon juice, and a splash of bitters served on the rocks garnished with rosemary and a lemon peel. Bar Hill Gin, fresh-squeezed grapefruit juice, Lagunitas IPA, simple syrup. Rock Town Basil Vodka, fresh squeezed grapefruit juice, ginger beer garnished with fresh basil. Huck’s American Craft offers both on- and off-premise catering options. Plan your next social or corporate event with us! We can accommodate almost any size group and will work within your budget to ensure a memorable function.